The Nisqually Tribal Health Department is tasked with providing healthcare to all members of the Nisqually Indian Tribe in Olympia, WA. As the Nisqually Tribe is an autonomous nation, the health department must provide all aspects of care for its people. Programs range from primary care to mental health, nutrition to pediatrics. As the tribe has invested more time and money into developing its health department, the different programs were tasked with producing their own educational print materials, until the department recognized a need to unify all patient- and community-facing information under a recognizable design. Design a comprehensive resource guide that gathers educational and procedural information from the different health department programs together, and produce 12 brochures for select programs and information. 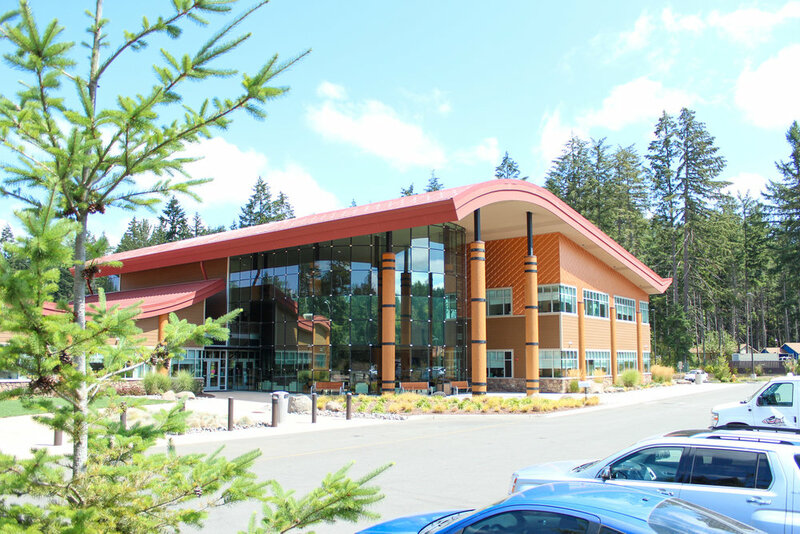 We began by meeting with the Nisqually Tribal Health Department leadership to understand their vision for the project, and to gain insight into how the department functions as a whole, and as separate programs. Together with department staff, we identified the key programs to include in the guide, and built the table of contents. We developed a content writing guide to help each program director provide valuable information on their activities and to ensure a common structure of information throughout the guide. Multiple on-site meetings with each program as well as health department leadership ensured that we captured all pertinent information. 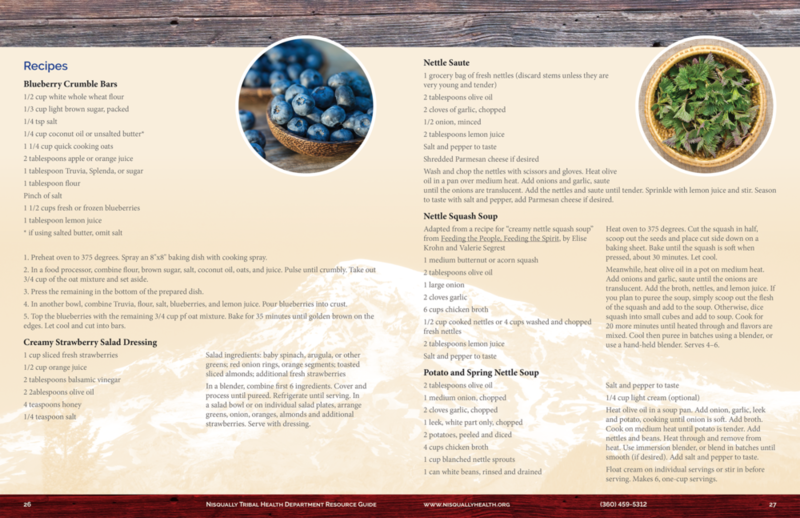 Our primary inspiration for the design of the guide was the beautiful cedar siding found throughout the Nisqually reservation. Historically, cedar trees provided materials for buildings, tools, household objects, even clothing for the Nisqually tribe. We chose to marry accents of aged cedar with a view of Mount Rainier, the source of the Nisqually River, along with selected tribal and stock photography to develop an instantly recognizable design that represented the Nisqually people’s heritage. Following the design phase of both the resource guide and brochures, we produced the materials in our print facility on a high quality semi-gloss paper stock and bound the resource guide with a saddle stitch binding between glossy cover stock. We’ll evaluate the success of the design through qualitative feedback from health department staff and community members. 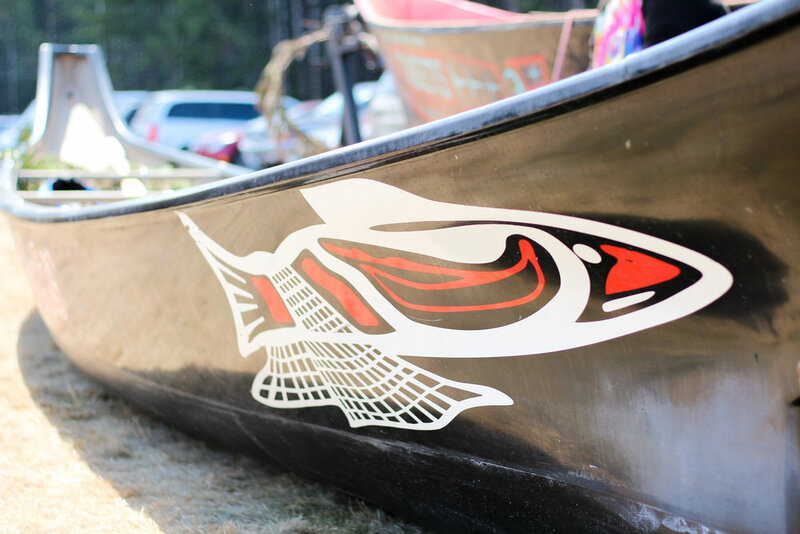 In addition to the Nisqually Tribal Health Department Resource Guide, we were asked to provide photography services for the 2016 Paddle to Nisqually Canoe Journey event, as well as design and produce branded apparel for the health department. 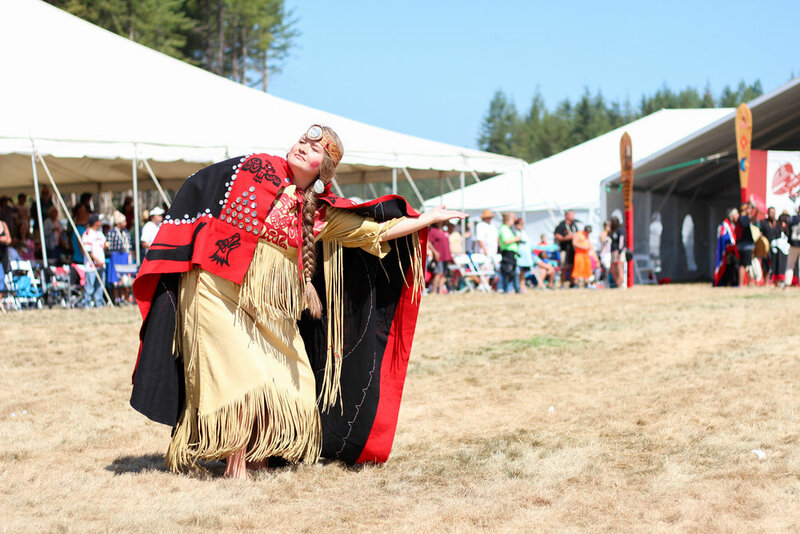 We greatly look forward to continuing our work with the Nisqually Tribe in the future.